It’s no secret that the right is going through what some call a healthy debate and what others see as an identity crisis. For some, the solution to what ails conservatism requires a sudden philosophical shift leftward to win back the last Rockefeller Republicans, presumably hanging on in nursing homes like stranded Japanese fighters who haven’t gotten word World War II is over. Others argue that Republicans must shake off the heresies of moderation and compromise and accept the unalloyed true faith of 100 percent conservatism. Those are hardly the only choices, of course. For instance, some make a very good case for fighting fire with better fire and offering a slew of superior policies and reforms than what the Democrats have tacked up on the wall in recent years. While I have my sympathies and positions in all of these fights, I’ve long argued that regardless of what policies Republicans should offer or what philosophical North Star they might follow, one thing the GOP could definitely use is better politicians. Ronald Reagan’s cult of personality remains strong and deep on the right, and I count myself a member of it. But what often gets lost in all the talk of the Gipper’s adamantine convictions and timeless principles is the simple fact that he was also a really good politician. Barry Goldwater was every bit as principled as Reagan, but Reagan was by far a better politician. That’s at least partly why Goldwater lost in a stunning landslide in 1964 and why Reagan was a two-term political juggernaut. Reagan won votes from moderates, independents and lots of Democrats. To listen to many conservative activists today, we need a candidate as principled as Reagan to save the country, but you rarely hear of the need for a politician as good as Reagan. Unfortunately, to paraphrase Donald Rumsfeld, you go into elections with the politicians you have, not the politicians you want. So the question isn’t how to find better leaders but how to make the leaders we have better. One answer is really remarkably simple: Tell better stories. This is a problem not just for Republican politicians but for conservatives generally. For roughly 99.9 percent of human history, nearly all of human wisdom was passed on in stories. We are a species that understands things — i.e. morality, politics, even religion — in terms of tales of heroism, sacrifice and adversity. And yet so much of what passes for conservative rhetoric these days isn’t storytelling but exhortation. Whatever the optimal policy might be, if you can’t talk to people in human terms they can relate to, you can’t sell any policy. The war on poverty, for instance, has been an enormous failure in so many policy terms, but it stays alive because of the stories liberals tell. Consider immigration. There are reasonable arguments on every side of the issue. But what is unquestionably and lamentably disastrous for Republicans is the way they’ve allowed themselves to get on the wrong side of this story. That is a tale most Americans love, even the ones who want to slow or stop any further immigration, legal or illegal. Go back and watch the video of Sen. Marco Rubio (R-Fla.) telling his family’s story at the 2012 GOP convention, or Arnold Schwarzenegger’s speech at the 2004 convention. The same rank-and-file activists who oppose “amnesty” swelled with pride and affection at what this country means for the immigrant and what immigrants mean for the country. 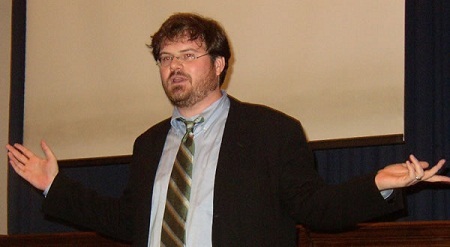 As Dreher noted, conservatives have largely abdicated their role in “tending the moral imagination,” which Russell Kirk defined as “conservatism at its highest.” Too many on the right don’t even claim what victories there are in the popular culture, which is far richer and more rewarding than many older conservatives are comfortable acknowledging. Many historians will tell you that the secret of Reagan’s political success was his gift for storytelling. By all means, Republicans, be more like Reagan — but don’t tell his stories, tell your own. What’s so great about coalitions?